Kids' costumes ready? Candy bags hidden away for trick or treaters? Sounds like it's time to treat yourself! 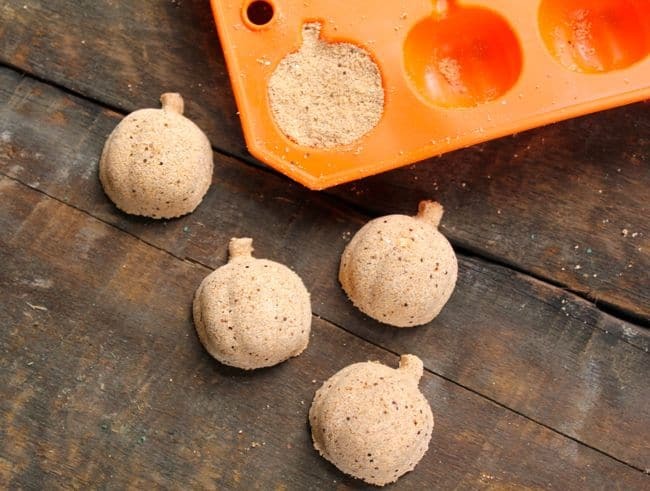 Whether you're looking for your own little escape this Halloween or want to surprise some friends with some adult-friendly fun, the five projects below are a great place to start for a festive afternoon of DIY. As the weather is getting cooler and the craziness of the holidays starts to build, who doesn't love a relaxing bath at the end of the day? Bath bombs are easy to make and the options are endless when it comes to creativity. We love these adorable miniature Pumpkin Bath Bombs and can't help but smile when we see these spooky Jack Skellington Bath Bombs. Martha Stewart put together an incredible list of festive Halloween cocktails that features 22 options from the simple & easy to mix to the more complex craft cocktail. Our favorites? We love the Pina Ghoulada that brings us to the beach or the Blood-Red Hot Chocolate that can be served with or without alcohol. Sitting down for a scary movie marathon? 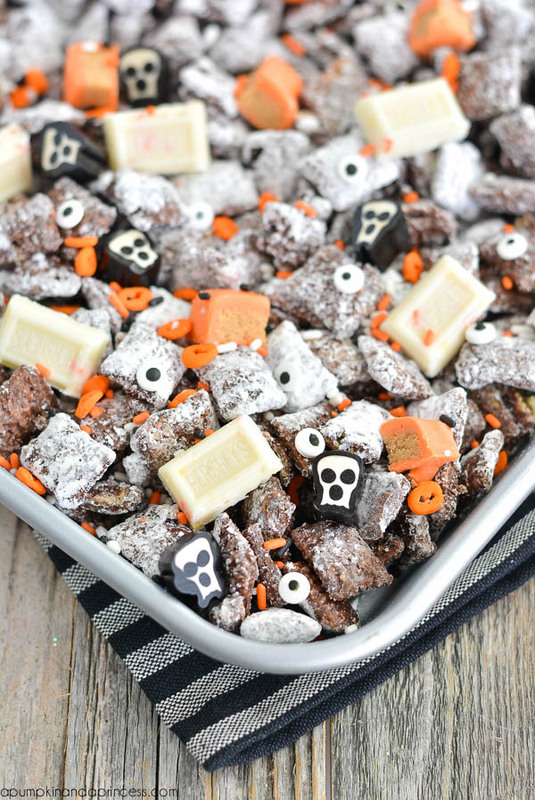 Up your snack game with some Halloween Muddy Buddies! Easy to make and with a little something that everyone will deem their favorite part, these snacks will be a welcomed treat that will keep you and your friends fueled for all those movies. Bonus: Easy to make in bulk, this is a great option if you want to bring a festive treat to the office. Ready to get rid of your jack-o-lanterns and move onto the next holiday? 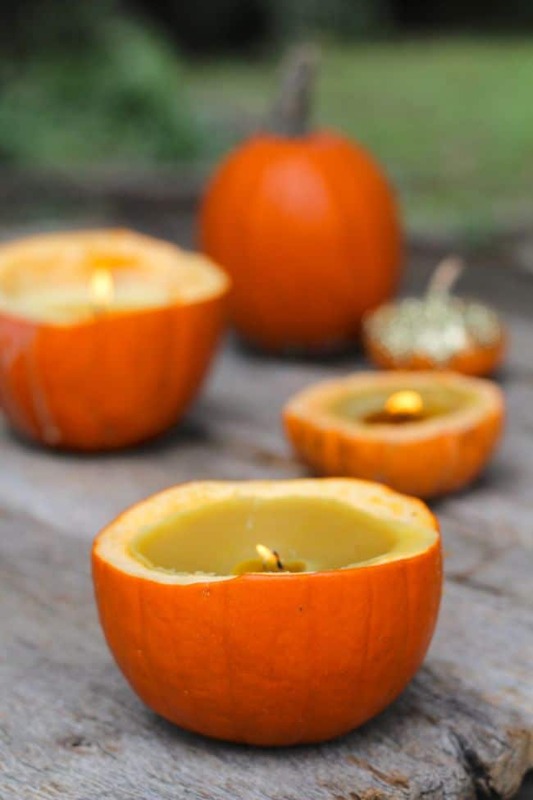 We love the idea of repurposing our pumpkins into a festive candle for the Thanksgiving season. Learn how to make this easy Leftover Pumpkin Candle here. 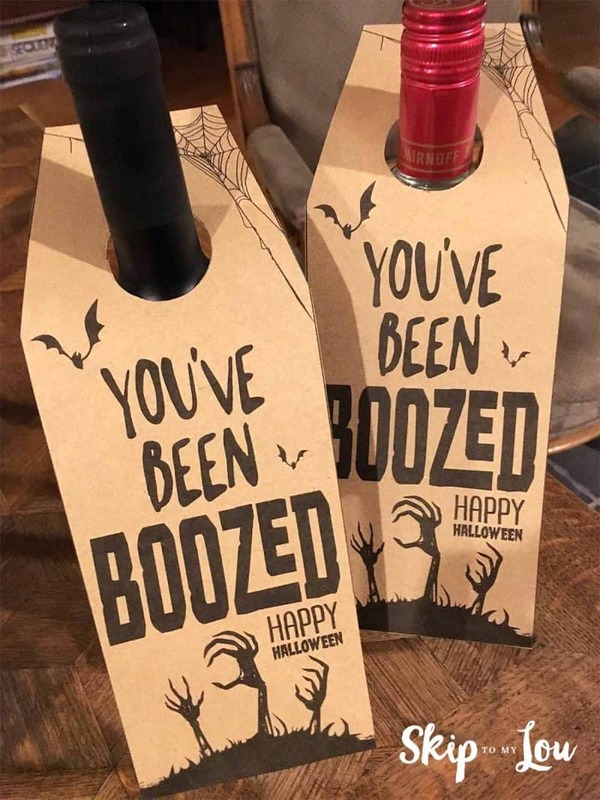 Bring some smiles to your friends this Halloween with a bottle of wine (or put together a little gift basket featuring the mixers from one of the cocktails on Martha's list above!) and add the tag "You've been boozed!" They'll appreciate the gesture and you'll get to enjoy some festive cheer together. We encourage you to make your own tags or you can simply print the bottle tags here. Have your own favorite adult-friendly way to celebrate Halloween? Share in the comments!